Walk through Secunia's Corporate Software Inspector, CSI, 7.0 with Microsoft MVP Kent Agerlund, Coretech. Kent will walk through and review Secunia's CSI 7.0 live - while demoing the tool and answering questions. 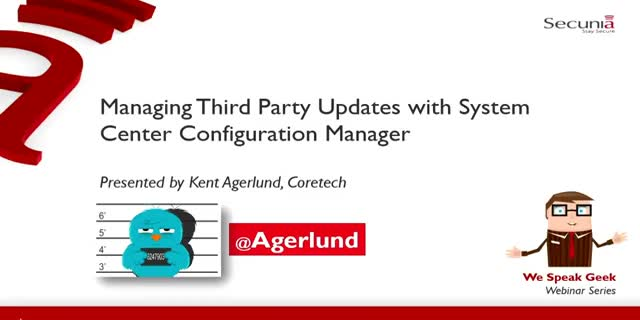 In addition he will review the System Center CnfgMngr 2012 Plug-in - the add on piece to Secunia's CSI 7 solution.